The field of transient astronomy has exploded in recent years with the detection of multi-messenger transients such as gravitational waves, fast radio bursts and neutrino events. This is in addition to the plethora of previously known transients, including gamma-ray bursts and flare stars, where new discoveries are still being made. In transient astronomy, speed is a vital factor in being able to make insights into what actually produced the emission we see. The LOw Frequency ARray (LOFAR) is a next generation, low-frequency radio telescope that is fully controllable via computers and has no moving parts. 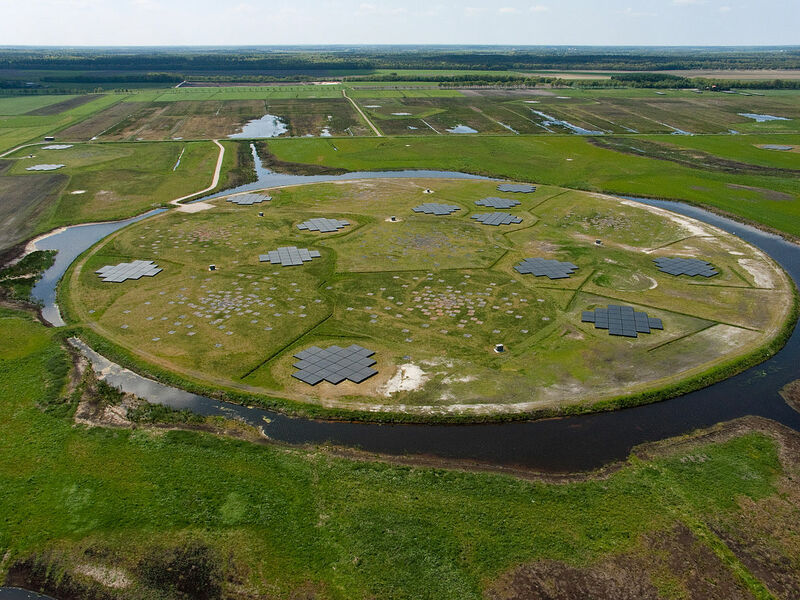 This makes LOFAR an ideal facility to rapidly respond to new transient events detected by other astronomy facilities such as Advanced LIGO or the Swift Satellite. In 2017, the LOFAR Radio Observatory and the Transients Team successfully implemented a rapid response mode, enabling LOFAR to start conducting observations well within 5 minutes of receiving an alert. This exciting new mode will enable us to use the full capabilities of the LOFAR array search for bright, low frequency radio flashes from transients such as neutron star mergers and fast radio bursts. LOFAR field in the Netherlands. Image credit: LOFAR/ASTRON.